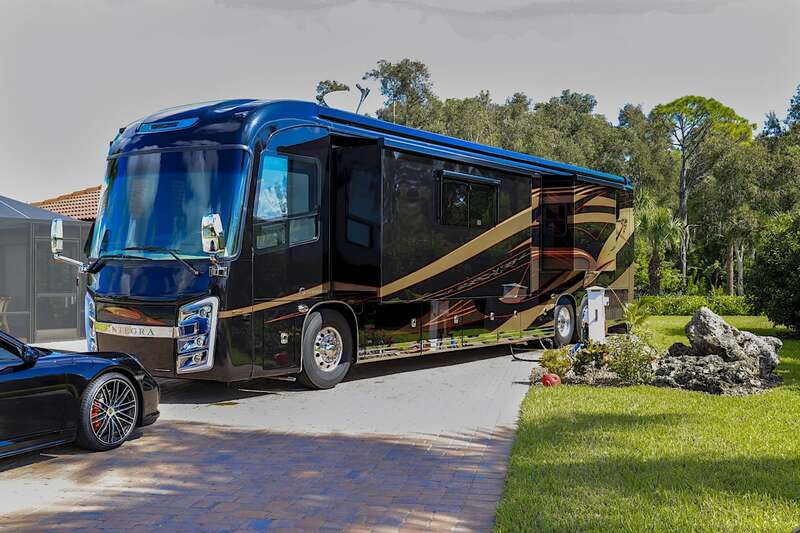 Don’t miss the opportunity to rent one of our beautiful and exclusive, luxury ‘Class A’ motorcoach rv lots in Florida. Top lots rent quickly, do not delay to avoid disappointment. Huge areas between all sites, and beautiful natural landscaping. Top notch 50 or 100 amp service. Also included are the hook-ups for city water and sewer along with wi-fi which is accessible throughout the resort. Every lot has access to the stunning clubhouse, pool and 100+ foot dock on the Myakka River. Lots of onsite activities and a great community. What are you waiting for?